RSVP West works with GP Surgeries and Health Centres to recruit and support volunteers who are over 50 from among their own patients. These volunteers provide an invaluable service. 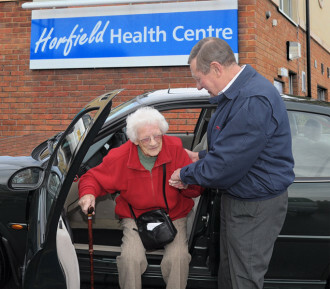 Drivers provide transport for elderly, infirm or disabled patients who may live some way away from a suitable bus route or have no friends or relatives who can help them get to the surgery. Wellbeing Guides offer companionship to older patients who feel lonely and isolated. The patients may not be housebound but they can lack friends or relatives. Volunteers visit for an hour or two, sometimes every week, sometimes less often. They may have a chat or go out for coffee. If appropriate, volunteers will point to suitable activities in the patient’s local neighbourhood to help them re-integrate into the community. The key person in a successful Surgery Scheme is the Volunteer Co-ordinator. They work with surgery staff, each week matching drivers and befrienders to patients to ensure that everyone’s needs are met. Some volunteers have helped their surgeries for many years. They enjoy being part of and giving something back to their surgery. They like to meet people and make new meaningful relationships. Most importantly they know that they provide a valuable contribution. 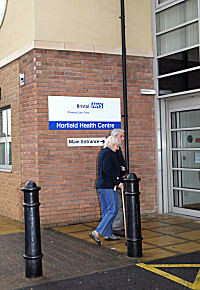 GPs also recognise the benefits of having volunteers available. They have to make fewer house calls and can assess patients using all the facilities of the surgery rather than within the limitations of a patient’s home. They can provide treatment that’s more timely and effective. By offering their isolated and lonely patients a ‘Wellbeing Guide’ they also show concern for their patients’ social and emotional wellbeing. RSVP West currently supports a number of surgeries in Bristol – follow this link to show where we are and what we do – also we have representation in both South Gloucestershire and BANES in helping them to set up and maintain their Volunteer Schemes. The scheme has proved so valuable that RSVP aims to extend them to all surgeries in the West Region. If you are interested in becoming a Surgery Volunteer or a Volunteer Coordinator please email Sylvia Carpenter or read our leaflet.